What spells luxury more than immersing yourself on a lavish yacht? 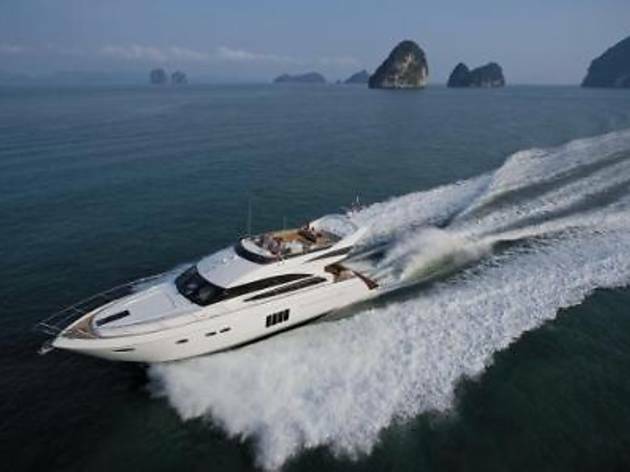 In conjunction with Nautical Lifestyle 2012, several exclusive yachts will be made available for public viewing at Strait Quay's marina. If you would like to be on the list, give them a call for appointments. Prefer to be blown away by the wild seabreeze instead? Then, hop on the charity boat ride and this two-day sail off welcomes all.